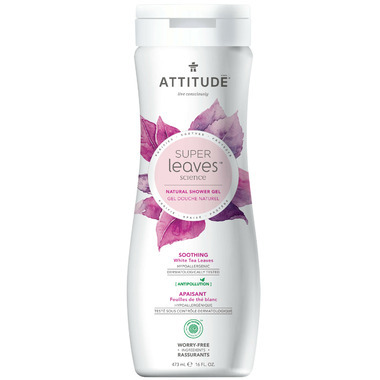 ATTITUDE's Soothing Shower Gel is enriched with white tea leaf extract, known for its antioxidant, soothing and protective properties. You will love its aroma that reminds us of guava and berries. Ingredients: Aqua/water/eau, coco-glucoside, sodium coco-sulfate, vegetable glycerin, sodium cocoyl isethionate, glyceryl oleate, lauryl glucoside, stearyl citrate, citric acid, sodium benzoate, potassium sorbate, nasturtium officinale (watercress / cresson) extract, tropaeolum magus (Indian cress / capucine) extract, maltodextrin, moringa oleifera seed extract, camellia sinensis (white tea / thé blanc) leaf extract, methyldihydrojasmonate (jasmine), hexyl salicylate (floral), pentadecalactone (fruit). Not impressed-strongly scented. We are selective with product choices as part of our healthy lifestyle. 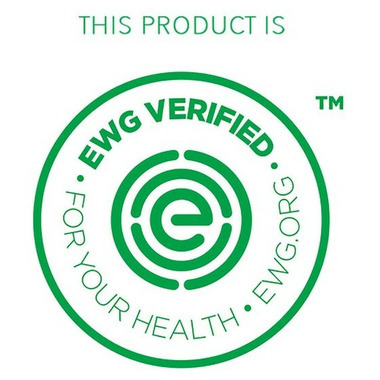 We are skeptical of this, considering this is EWG certified, it is very strongly scented which doesn't seem natural at all, can't use it before going to work in scent-free place. Great body wash with a great scent!! Loved the smell - not too strong and not too subtle. It lathered really nice and left the skin feeling nice and soft. Didn't love it. The scent was a bit overpowering for me and I didn't find it all that moisturizing. Won't buy again. Very gentle on my sensitive skin and smells amazingly!